Scott reviewed these fully wireless earbuds, which literally just went on sale, and praised the fit and battery life — though call quality and battery life of the charging case weren't as good as some rival earbuds. 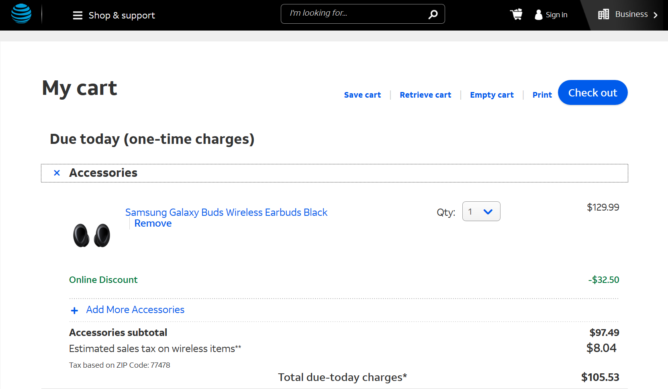 You can buy a single pair for $97.49 or can add two more accessories to your cart for an additional 20% off — bringing the effective price of the Galaxy Buds down to $78. If you sort by price, there are plenty of $5 accessories (like this screen cleaning kit) you can use as fillers. If you have a Chase credit card, it's worth browsing your available offers — you could be eligible for $40 off for making two transactions above $15 on the AT&T website. There are a lot of people trying to avail of this deal right now, so the AT&T website may be a bit glitchy — I found using Firefox to help a bit, and wasn't able to reliably load my shopping cart on Chrome. Our tipster Moshe had better luck using a smartphone browser. Either way, be patient, but hurry! It looks like the deal is dead, as AT&T isn't allowing the Galaxy Buds to be added to cart anymore. 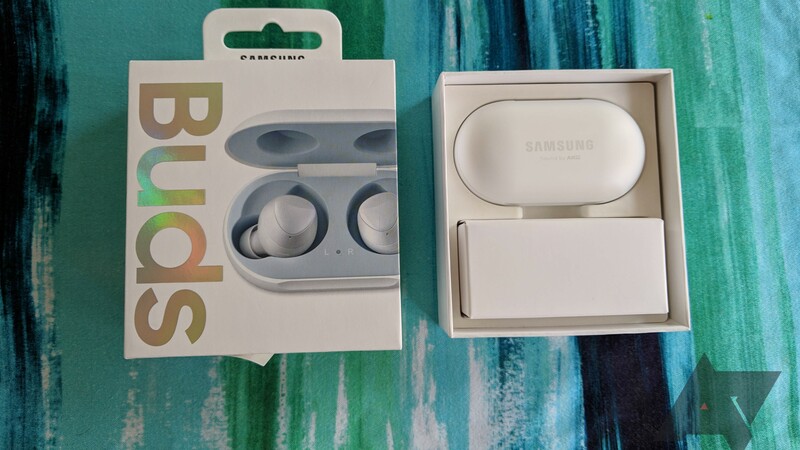 The 25% Samsung accessories promotion is valid till 4/11, so it's possible the Galaxy Buds may be available for the same price down the line.